Ultra ClearCoat™ optical system: Nikon has engineered the entire optical system to provide the shooter with a bright, sharp, incredibly flat sight picture. Rugged, one piece 30mm body tubes: Larger tubes allow for maximum resolution, wider windage and elevation travel and superior low-light performance. Milled from aircraft grade aluminum, durability is built into each model. 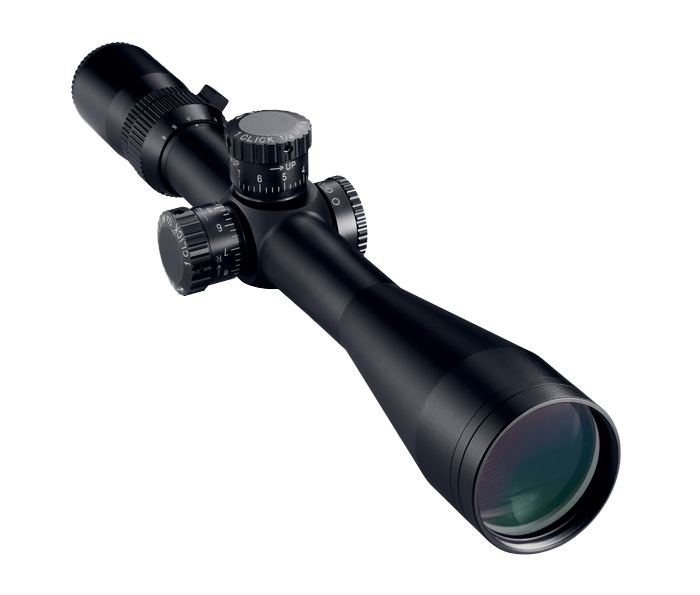 Four time magnification range: Provides outstanding flexibility for up close as well as long-distance shots. Hand-turn 1/4 MOA windage and elevation adjustments: Reticle adjustments are made in 1/4 MOA click-stop moves you can both feel and hear, and with no backlash to make your shot creep off target. Glass etched reticle: Shrugs off recoil from even the hardest hitting, flattest shooting calibers. Turret adjustments and side focus parallax adjustments: State-of-the-art adjustments are precise, repeatable and stay put until you move them. Easy-to-grip adjustment knobs: Expert marksmanship requires precision, the Monarch X riflescope delivers. Waterproof, fogproof, shockproof: Nitrogen-filled and O-ring sealed. Nikon No-Fault Repair/Replacement Policy* for Binoculars, LaserForce Rangefinder Binoculars, Riflescopes, Scope Mounts and Fieldscopes: Nikon is dedicated to quality, performance and total customer satisfaction. If your Nikon Binocular, LaserForce Rangefinder Binocular, Riflescope, Scope Mount or Fieldscope requires repair not covered by our Limited Lifetime Warranty, just send it to us and Nikon will at our option repair or replace the product at no charge. *Excludes lost or stolen products and intentionally caused damage, and also excludes Nikon Rangefinders, StabilEyes Binoculars & Specialty Optics.